Where are fish fries in Louisville? 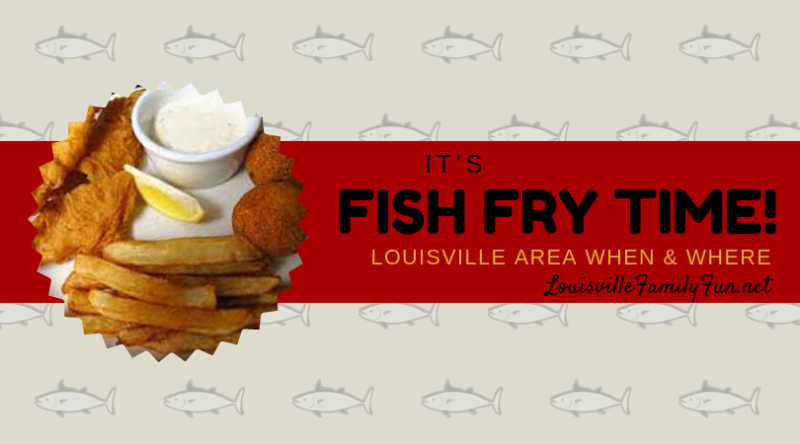 Louisville loves fish fry events for Lent. There are many churches and organizations around the city that offer lunch and/or dinner on Fridays during Lent. Some have other entertainment on those nights, online ordering, cake wheels and more. Lent for the year 2019 is celebrated/observed from March 6 through April 18. Therefore, most of these Fish Fries will be on Fridays March 8 – April 12 with some variation depending on the church or organization. Suburban Fish Fry takes place every Saturday from March to November. Click here for details. St. Albert the Great (40222): 5:00 – 7:30 p.m.
Ascension (40220): 5:30 – 8:00 p.m.
St. Augustine (40203): Typically 11 a.m. – 6 p.m.
St. Bernadette, Prospect (40059): 5 p.m. – 8 p.m.
St. Bernard (40228): 5 p.m. – 7 p.m. Dine-in and Carryout. Online ordering. St. Elizabeth Ann Seton (40229): 4:30 – 7:30 p.m.
Pax Christi Collaborative – St. Elizabeth’s (40217): 4:00 – 7:30 p.m and Our Lady of Sorrows (40217) from 5:00 – 7:30 p.m.
St. Gabriel (40291): Typically Fridays during Lent for lunch 11 a.m. – 1 p.m. (takeout) and dinner in gym/cafeteria with TVs to watch games 5:00 p.m. – 7:30 p.m.
St. Margaret Mary (40222): Typically 5 p.m. – 8 p.m.
St. Martin of Tours (40202): 5 p.m. – 10 p.m.
Good Shepherd (40212): Men of Good Shepherd Fish Fry Friday, February 24th. 4:00 – 8:00 p.m. in Lehmann Hall. Holy Family (40213): Lucnch 11:00 a.mm – 1:00 p.m., dinner 4:30 – 7:30 p.m.
St. Michael (40299): 2:30 – 11:00 p.m. Most Blessed Sacrament: Typically 4 p.m. – 7 p.m. Cake wheel too! Our Lady of Lourdes (40207): Typically 5:30 – 8:00 p.m. Drive thru. 4:30 – 7:00 p.m.
Our Lady of Perpetual Help (47150) New Albany: Typically 4:00 – 7:00 p.m.
St. Patrick (40245): Typically 5 p.m. – 7 p.m.
St. Paul (40258): 4 p.m. – 8 p.m.
St. Peter the Apostle/St. Andrew Academy (40258): Typically 5 p.m. – 8 p.m.
St. Rita (40219): 5:00 – 7:30 p.m.
St. Thomas More (40214): 5 p.m. – 8 p.m. When we last checked (2/20/19), the Archdiocese of Louisville was still collecting fish fry information so check back and we will keep you updated! 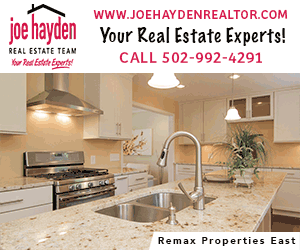 Looking for more fun events around our city? Visit our calendar.